I want to thank Grace R. Duncan for having us on her site. 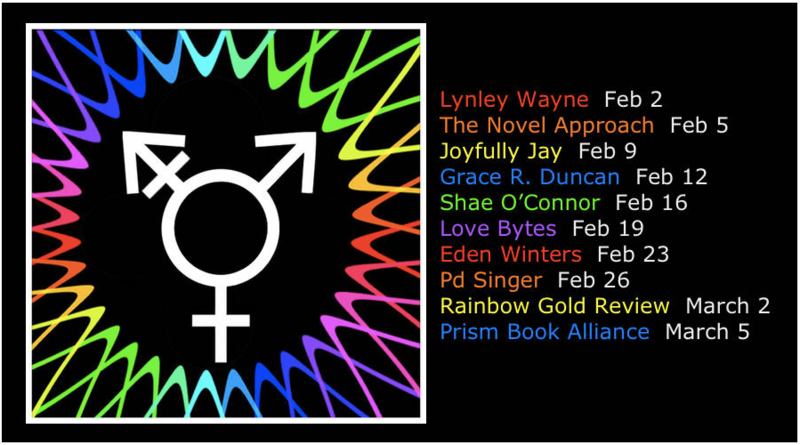 We appreciate the opportunity to discuss transgender* romance. I gathered several writers of M/M romance who have written transgender* romances and asked them all the same ten questions. 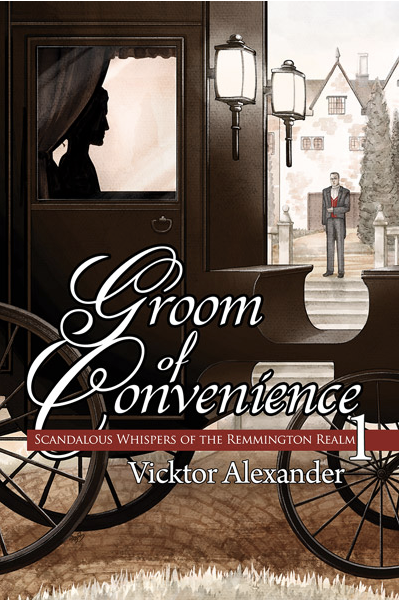 This blog will have the answer to number three and will highlight a book Groom of Convenience by Vicktor Alexander. It is our hope the same way you fell in love with gay characters and now fight intolerance & promote equality we want you to adore our transgender* characters. We want you to witness their strengths, their struggles, their flaws and root for their victories in love because in doing so you’re going to understand a little bit more about their lives. And we hope you will fight transphobia just as hard as you fight homophobia. What type of research did you do when it came to writing a trans* character? Kimberly Gardner: I limited my research to nonfiction books and articles. Josie’s emotions and experiences are entirely her own, but it was important to me that there be an authenticity in what she says and does and feels. Also it was very important to me that I get the details right with regard to some of the physical aspects of living as a trans woman. Not everyone knows this about me, but I’ve been blind for most of my life. When I read a book with a blind character and that character does something that no real person would ever do — like feel someone’s face to *see* what they look like — it tells me the author hasn’t done his or her homework. I didn’t want to make similar mistakes with Josie by creating a cis woman’s concept of a trans woman. Corvus Alyse: I think this particular plot bunny happened after doing a WHOLE lot of trans* research and looking at different sides of the coin. Personally, I have never felt comfortable in the skin I was born in, as a female. I felt limited and vulnerable in ways that I didn’t understand. In the very religious, pre-internet world I grew up in, there were no terms for what I felt. There was intense pressure to conform, to the church, to the beliefs of my parents, to society as a whole. So I shelved it, did what I had to do, like many others before me. After becoming an adult, life just got really busy, so it was some years before I felt the freedom to pursue this area of research on a personal level. The main character draws a lot from me, who I have come to understand portrays many facets of me. Vicktor Alexander: A lot of it was pulling on my own feelings, but I am a part of numerous trans* supports on Facebook, Yahoo, and through the VA here in Central Florida. I’ve done research on surgeries, the history on violence, labelling, etc. on Google, talked with doctors not just for my books but because I’m transitioning and a lot of that I’ve used to help round out my own characters. Theo Fenraven: I talked to a few people and researched online. I’m gender fluid, so some of my experiences showed up in the book too. Ethan Stone: I read a lot of blogs and websites regarding female to male trans*, the surgeries, the transitions, etc. Sara York: Every book requires research. I looked up information, I read accounts from transgender people, I watched movies, and I talked to people. Being observant is part of being a writer. Another interesting post, thanks for doing this everyone! I’m enjoying this blog hop. Thanks to all who participated! Thank you for another great post. I loved the excerpt Vicktor! What a marvelous start! So happy this blog is here! Thank you to each & everyone of you! Will be reading as soon as you are publishing! I enjoyed reading the post and the excerpt was really good. Great Blog Hop! It’s a great event, and the books sound wonderful!